Tonasket, Washington is in Okanogan County near the Canadian border, and has a population of about 1,100. Okanogan County is roughly 5,300 miles in area. 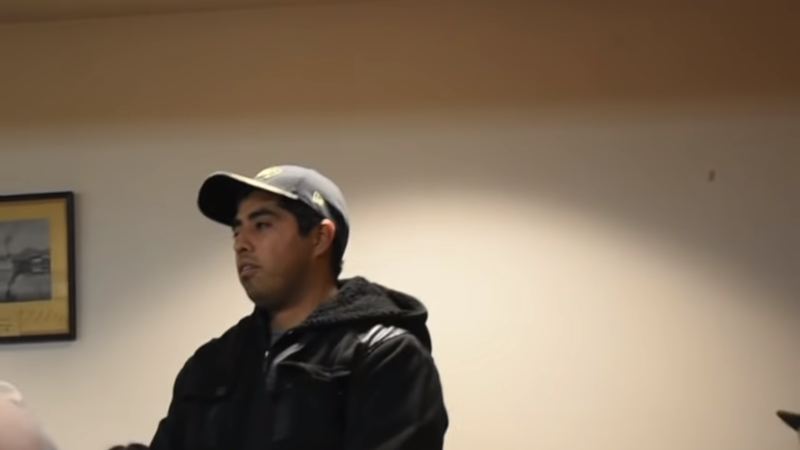 Never mind all that since Tonasket Mayor Dennis Brown disbanded the police department after alleged allegations of “racism.” But at a city council meeting, Officer Jose Perez told the council that the Mayor told him that his name was “too Hispanic.” Talk about bad optics. A week prior to the council meeting, the Mayor disbanded the police department, which consisted of a Chief and two other members, including Jose Perez. Asked if he talked with City Council members before making the decision to disband the police department, Brown refused to comment. He said the plan is to contract police services with the Okanogan County Sheriff’s Office. However, Undersheriff Aaron Culp said that agreement has not yet been finalized. Culp said the county has four deputies and a sergeant patrolling at any given time and they patrol a county that covers about 5,300 square miles. Culp said the sheriff’s office learned Sunday that the police department had been disbanded. The Sheriff’s office says it will respond to major crimes, and the city will have to handle the misdemeanors at this point. But a real agreement needs to be reached. And the people are somewhat panicked that there won’t be as many calls handled by officers. The issues came to a head at the Tonasket city council meeting on January 8, when Officer Perez told the council of the Mayor’s statement. Officer Perez stated to the city council that when the Mayor was riding with him, he had to approach a citizen and used his real name.